Yet another request for model identification. I was given this recently, does anyone have any ideas what it might be and is it based on any full size aircraft please. Thanks for that Denis, I am not sure the wheels are original as they look to big to me but not sure. I just typed the registration into Google and it came up with a Peyret Mauboussin XI. Sounds familiar. Did Peter Miller do one of these? 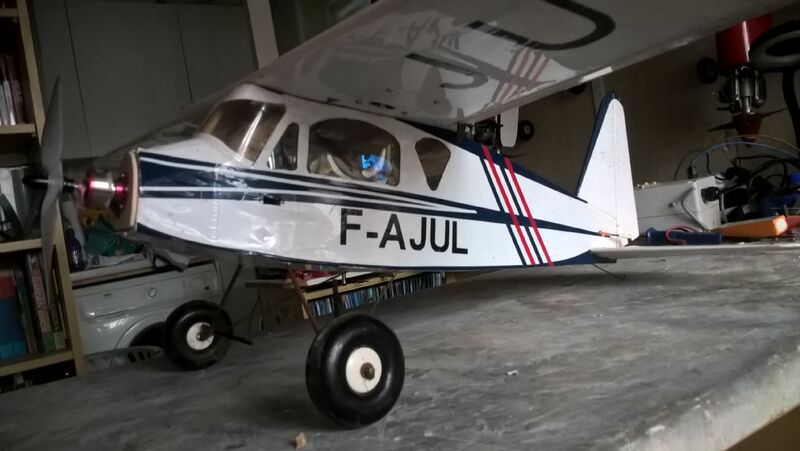 Short lived french light aircraft maker from 1928 to 1932. One is known to survive [ wing less ] but good order in French museum. That is great chaps, many thanks for the help. Sorry to report that this had bit the dust after the elevator servo jammed at full up elevator! Shame as it was a nice relaxing model to fly. Sorry to hear that Cliff. Make a new one! The orginal had a 45 HP seven cylinder radial engine which is pretty feeble really. Made two outstanding flights. The first was in 1930 Paris to Madagascar, acrosss Africa tp the West coast and back to Paris. A year later it was flown from Paris to Saigon in 10 days. IT was then flown back to Paris but not quite as fast. Isn't the model repairable? If it's balsa construction repair should be possible especially as it's electric and presumably not fuel soaked. 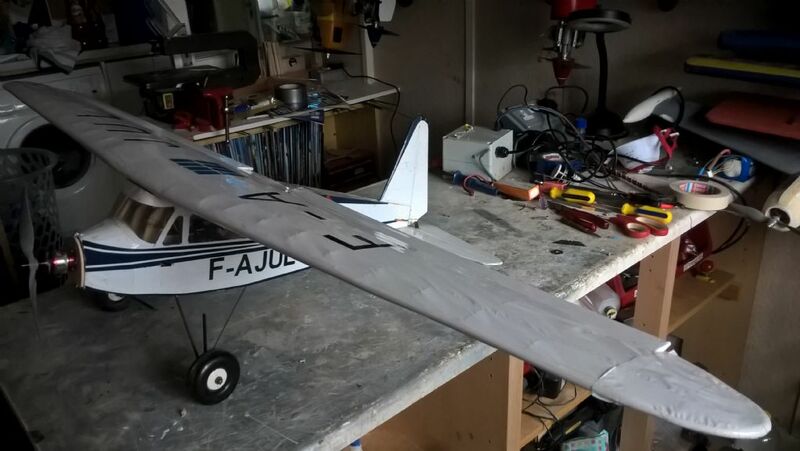 Repaired models always fly better than they did before! 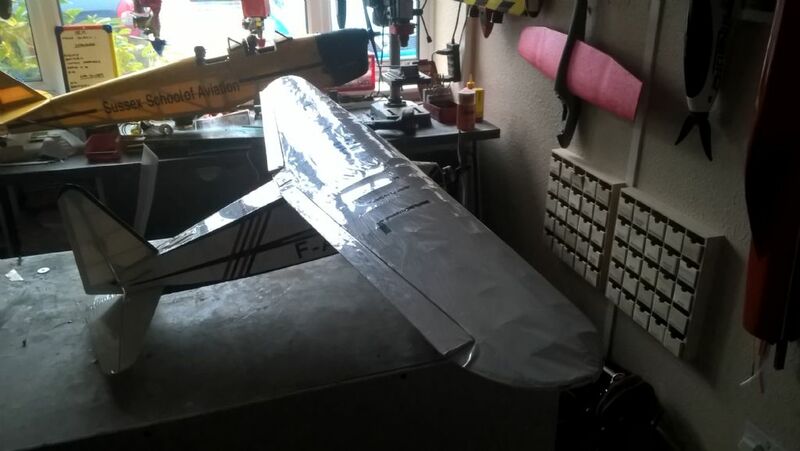 Repaired models always fly better than they did before! Or maybe, you fly it better because you are less precious about it after a repair? OTOH they also go better when you have your blood soaked into the balsa in a few places. Well of course it's an illusion - I find I am less worried about damaging the model again and enjoy the flight more because of that. And there is the point that rebuilding gives the oportunity of modifying anything that was not quite right before. So every reason to rebuild if possible. All Forum Topics > All Things Model Flying > Yet another request for model identification.